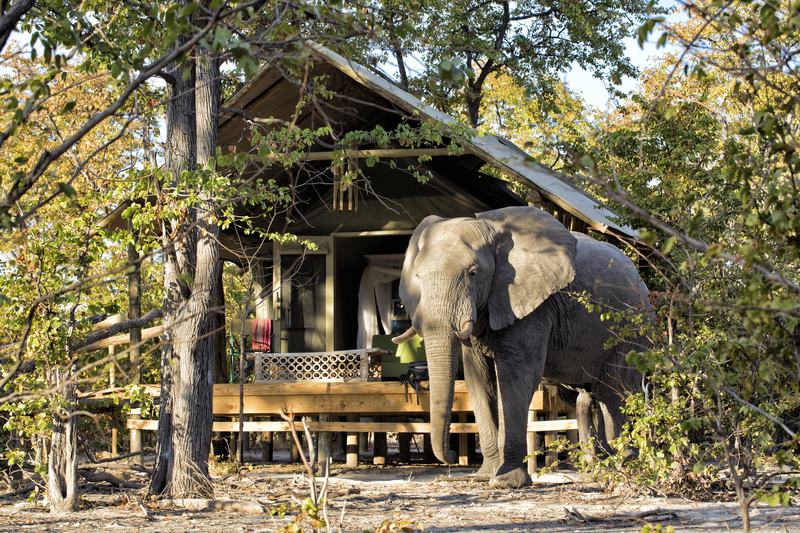 The Khwai Concession area on the outskirts of the beautifully preserved Moremi Game Reserve, is one of Botswana’s best kept secrets. Densely packed with wildlife and with an enormously varied ecosystem, the Khwai area has a patchwork of lagoons, shallow flooded pans, open grass plains and woodland forests. 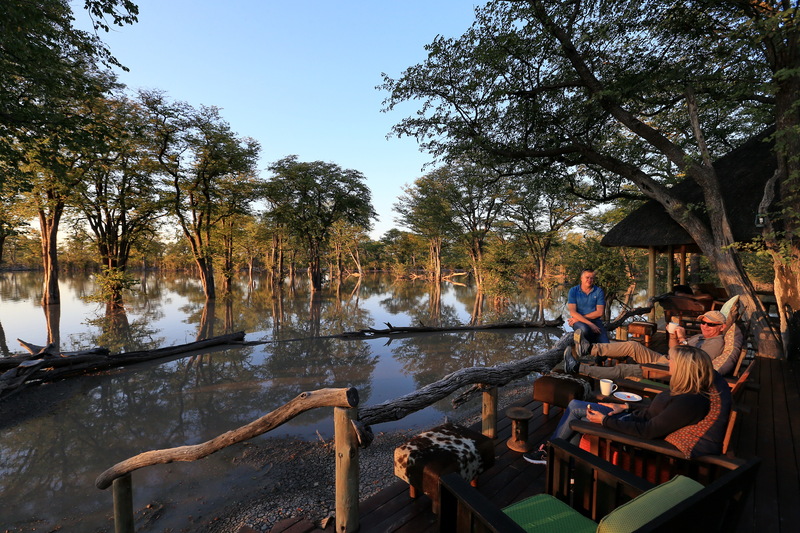 The Khwai area is without a doubt one of the most scenic areas in Botswana. 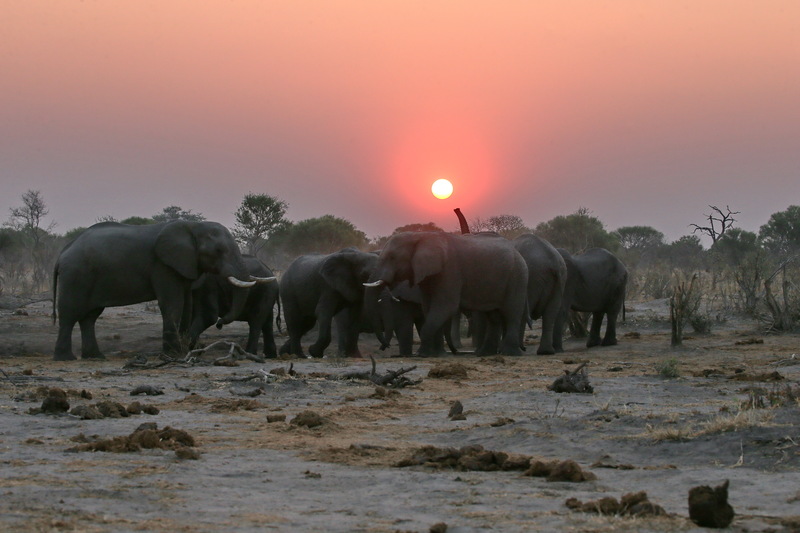 The Khwai Concession is a 1800km area which is situated in the northeastern Okavango next to the Moremi Game Reserve. It was formed by the local Khwai villagers and is managed by the Khwai Development Trust. The area used to be a hunting concession, but is now actively managed as a conservation area. The local community now runs ecotourism initiatives, actively conserves the environment and manages the wildlife in the concession. The Khwai community has a population of just 400 people who are predominately of either BaBukakhwe or River Bushmen decent. They are an inspirational example of a local community who live in peaceful harmony with wildlife. 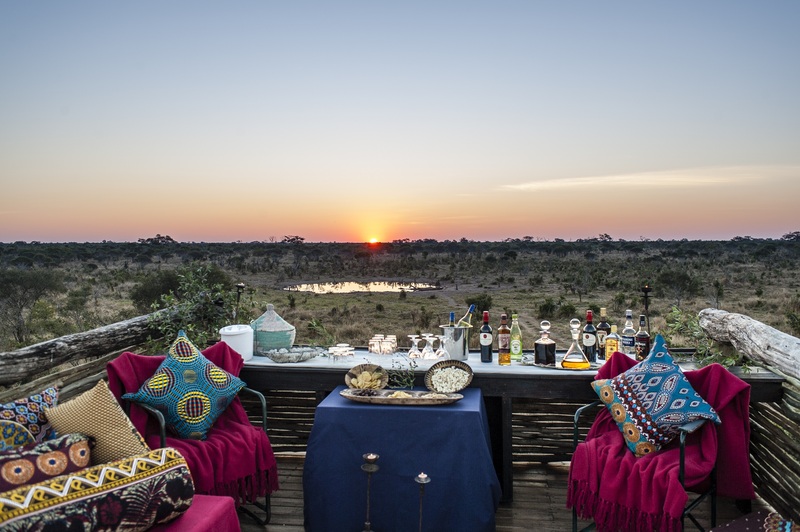 Below are our pick of some of the best camps to visit in the Khwai, each offering a special taste of this region and excellent, unsurpassed game viewing. 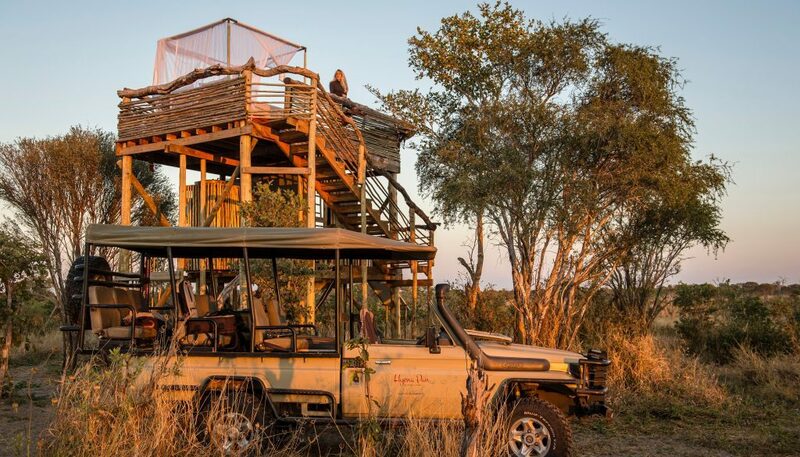 If you are looking for a truly unique safari then look no further than Skybeds, located deep within the Khwai Private Reserve. 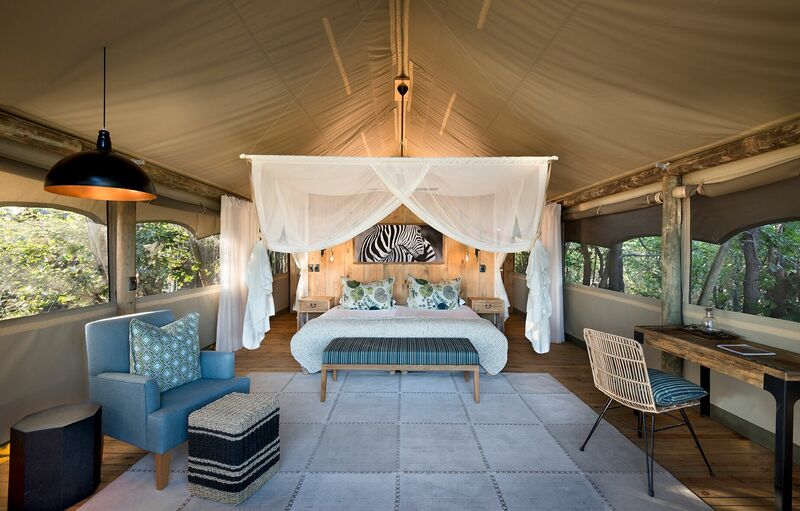 As the name suggests, this is no ordinary safari camp. 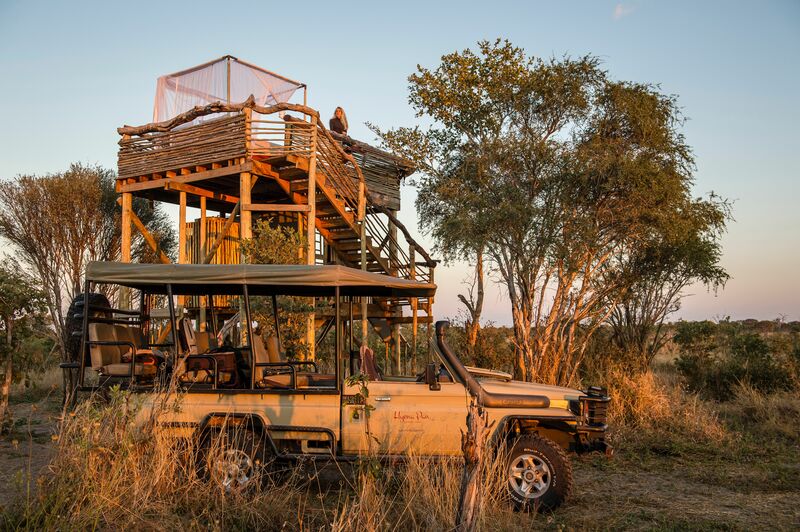 Each “room” is actually a three-story raised platform, overlooking the wildlife-dense plains of Khwai. 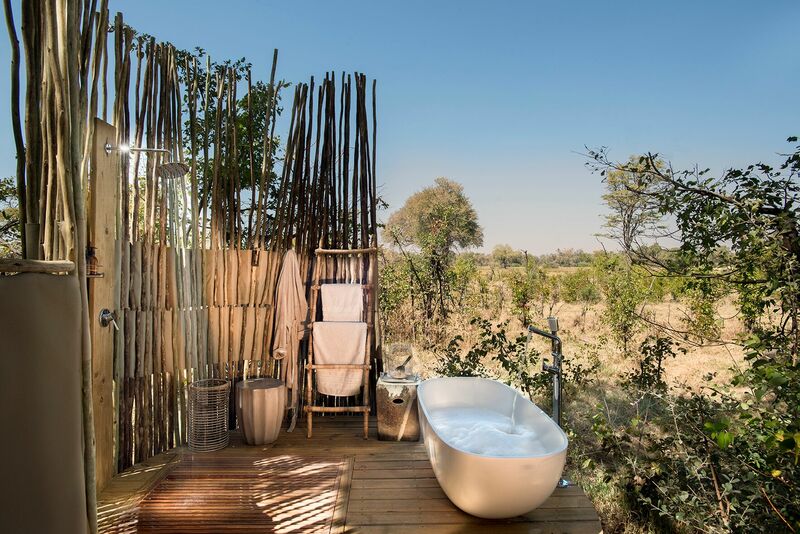 Charmingly rustic, yet perfectly stylish and comfortable, you’ll find a bathroom with flushing loo on the first floor, a dressing area, and the ultimate cherry on the top floor, an enormous double bed, draped in white linens and a feather duvet, all completely open to the stars. 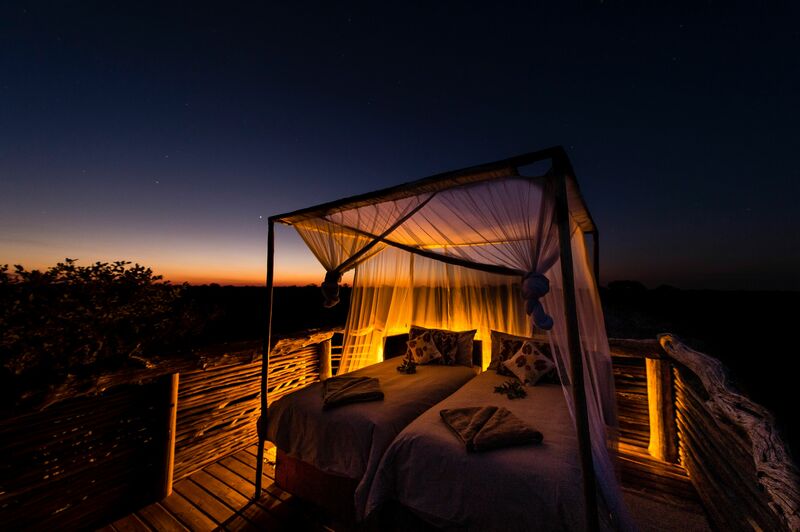 With Botswana’s star-studded skies overhead, you must just forget about what’s happening down below. 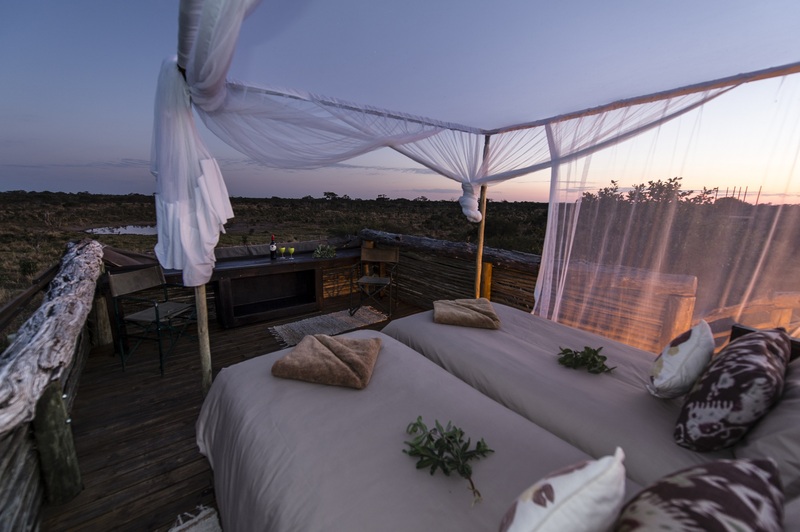 But keep one eye on the ground – each Skybed overlooks a busy waterhole. 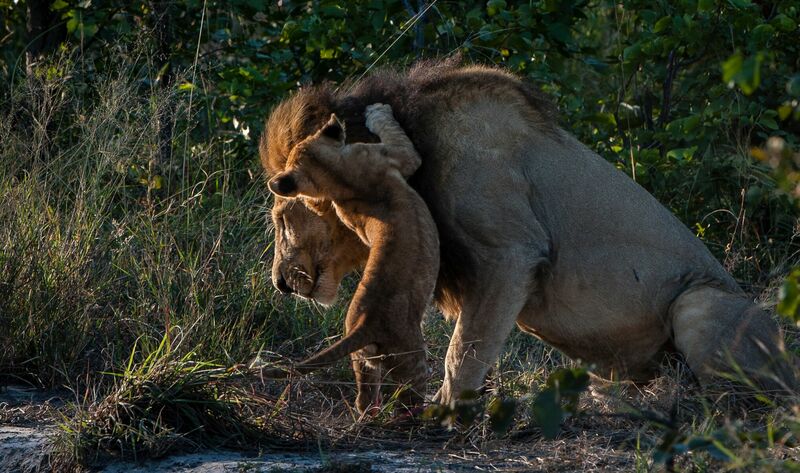 In one night you may see wild dog, lion, elephant and hyena – and that’s just the beginning. 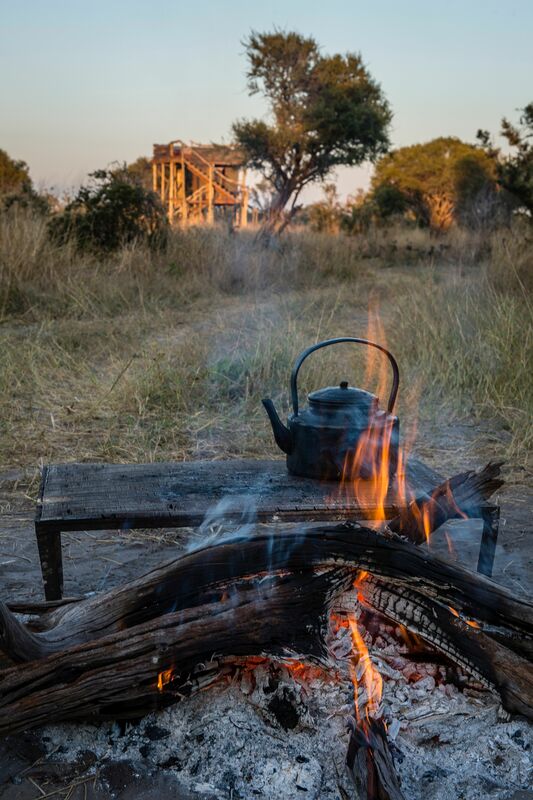 So, while we can’t guarantee you’ll get much sleep, we can guarantee one of the wildest and most wonderful safari experiences you’ll ever have! 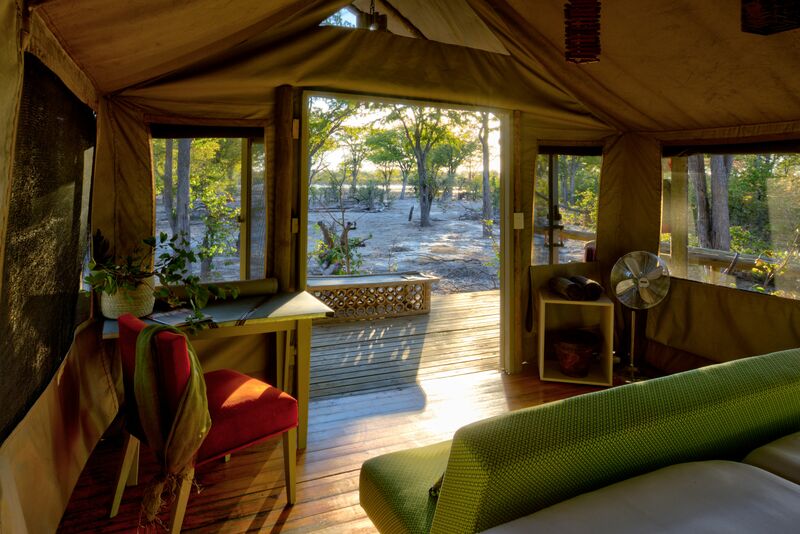 Stay at the Skybeds on our Botswana Private Lodge Safari. 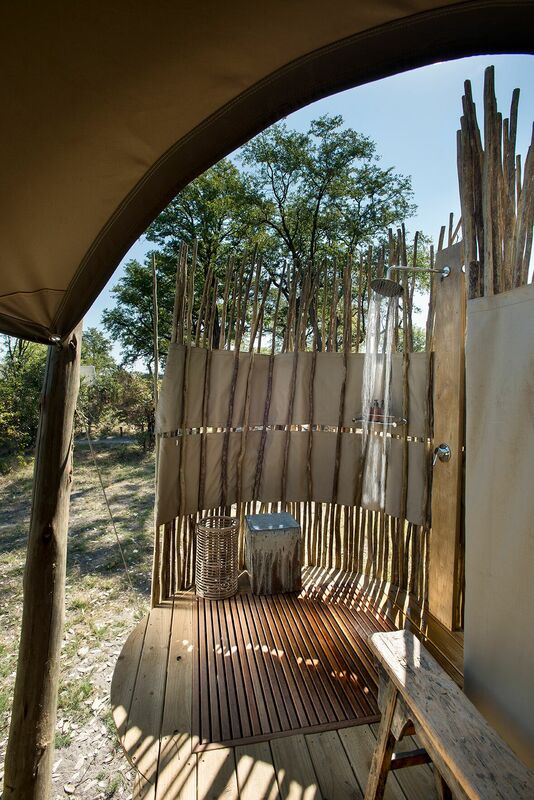 Not only is Khwai Private Reserve one of Botswana’s best kept secrets, it’s also home to the lovely Sable Alley. Opened in 2017, Sable is a piece of light, bright and beautiful luxury amid the game-rich floodplains of Khwai, and the best news is that it’s as sustainable as it is sophisticated. 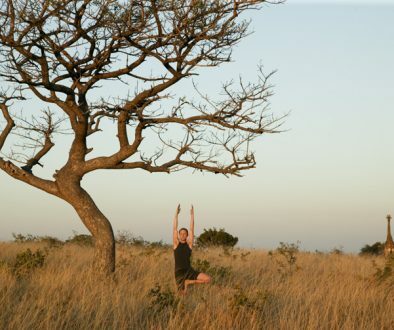 Sable is partnered with the local communities in Khwai, and proceeds from staying at Sable Alley go straight back into the Khwai Village community projects. And the wildlife? 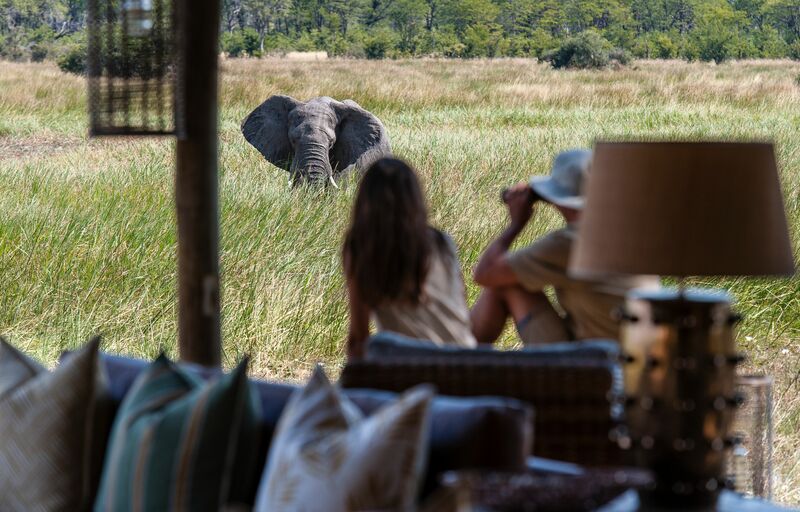 Located right on the banks of a lily-covered lagoon, home to harrumphing hippo and a favourite drinking spot for elephant and buffalo, the big game quite literally comes to you at Sable. 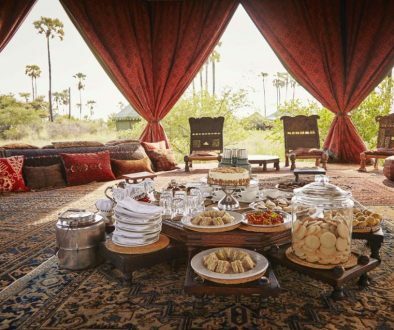 But as tempting as it is to stay in camp, you should venture out for Khwai offers one of Africa’s greatest and most exclusive safari experiences. 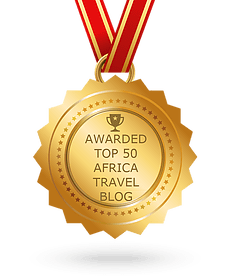 Have your camera at the ready for lion, leopard, wild dog, buffalo, elephant and hundreds of delicate antelope as you drive through the diverse landscapes of Khwai. 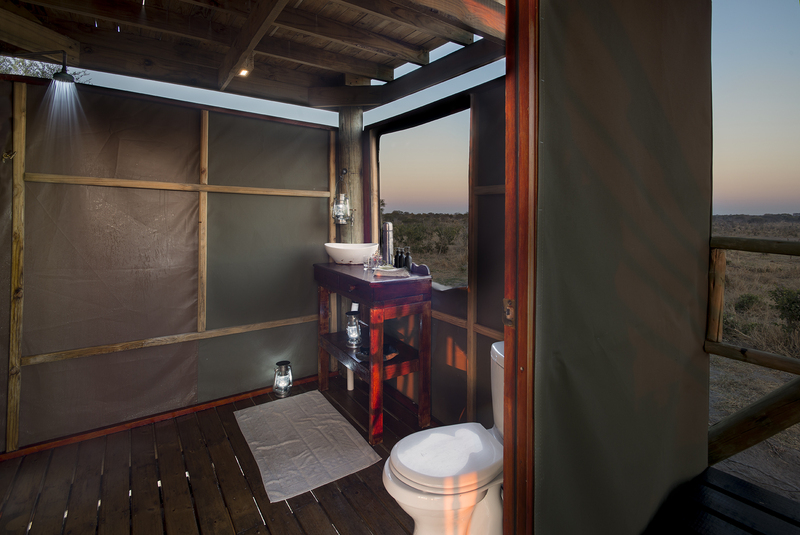 Stay at Sable Alley on our Botswana Private Lodge Safari. 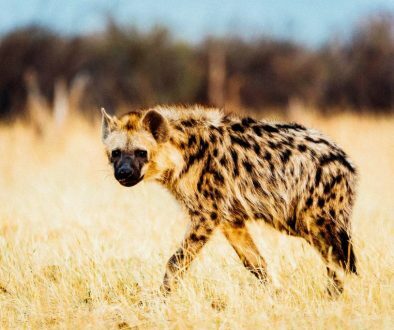 It’s all about the wildlife at Hyena Pan. 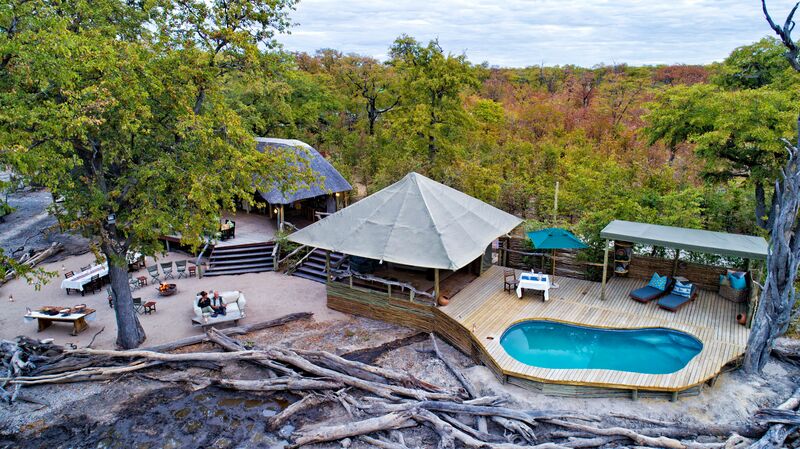 First up is its phenomenal location in Khwai Private Reserve. 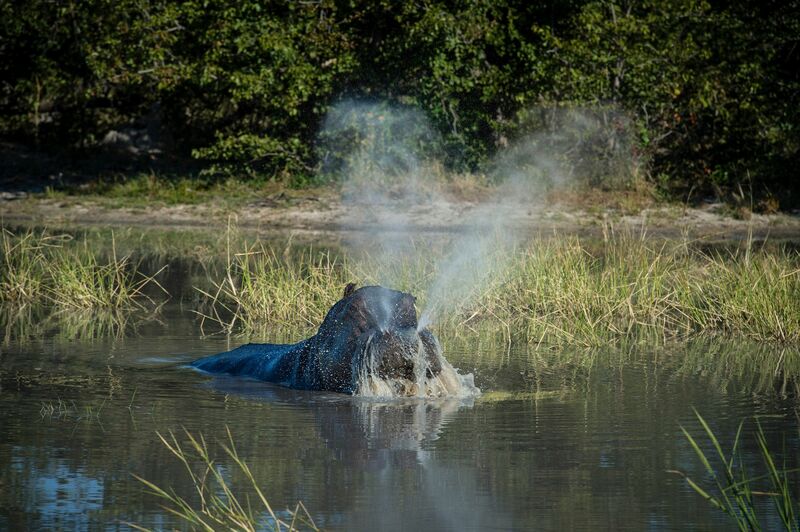 Positioned between Moremi Game Reserve, Chobe National Park and the Khwai River, the exclusive concession is a meeting point for more animals than you can shake a stick at. 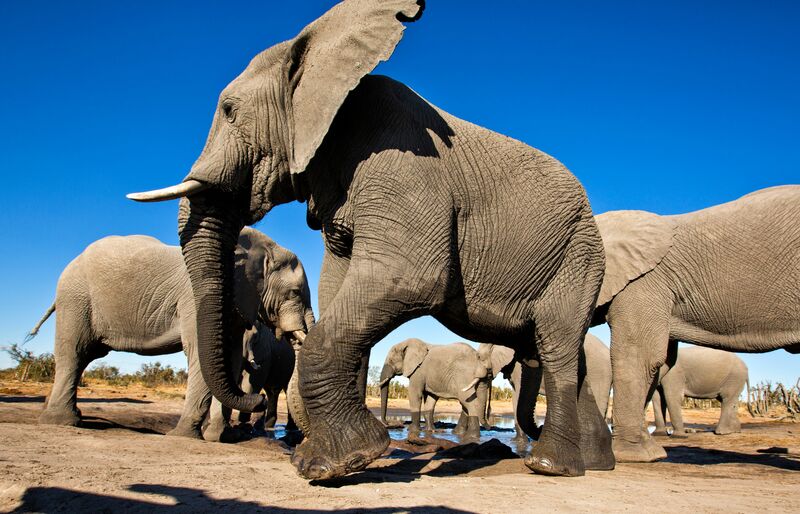 Think nomadic herds of elephant and buffalo, lion, leopard and wild dog fiercely defending their territories, as well as kudu, red lechwe and herds of antelope dotted across the plains.